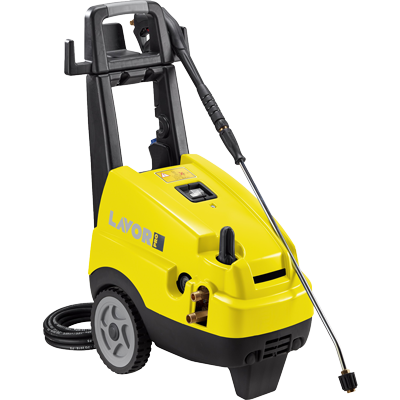 The Tucson1211 cold water pressure washer is Lavor’s heavy duty 240V unit in our industrial pressure washer range. The machine comes equipped with a 3kw, 4 pole, low revving 1450RPM motor. Also included is the Lavor crankshaft Industrial pump delivering 11 litres per minute at 1800PSI. 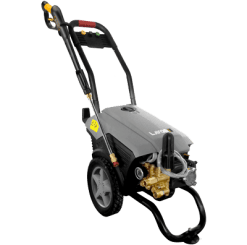 This pressure cleaner has a brass pump head, comes with ceramic coated crack proof plunger pistons. 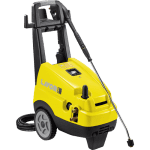 In addition, it has an on board detergent tank for low pressure detergent application, an Industrial grade gun and lance and a 10 metre steel braided HP hose. 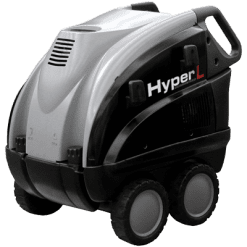 This unit is a long term workhorse which offers both performance and longevity. 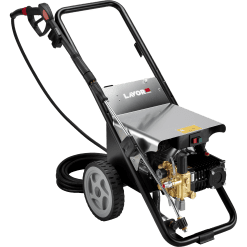 The unit operates smoothly at 1800PSI with a flowrate of 11 LPM which offers the capability of working uninterrupted periods. All of this without jeopardising the longevity and reliability of the unit.